How do structural works most commonly affect party wall claims? The majority of renovation projects, particularly to Victorian and Georgian housing stock, involve the alteration of the existing structure to better accommodate our vision of modern living. During the period when these properties were originally built it was fashionable to have a number of different rooms to serve different tasks such as dining rooms, formal sitting rooms or parlours. In the modern era our preference for open-plan living means that many of these properties need to be opened up inside, particularly on the ground and lower ground floors. This facilitates quite a large amount of structural work to make sure that load-bearing walls are adequately replaced with steel work or pre-stressed concrete that transmits those forces onto the party wall. Some design ambitions are so great that it is unlikely that the existing structure will withstand the increased forces. In this situation it’s not unusual for the internal parts of a non-listed structure to be totally demolished and steel structure built to replace it. A number of times we have dealt with projects where only the front and rear façade of the existing structure have been retained, increasing the complexity of the temporary works. Requirements to maintain those structures whilst excavations, underpinning and new structures are created. The extensive structural works often require additional monitoring to make sure that the vibration created by piling and underpinning works is not having an adverse effect on neighbouring properties or hanging facades. 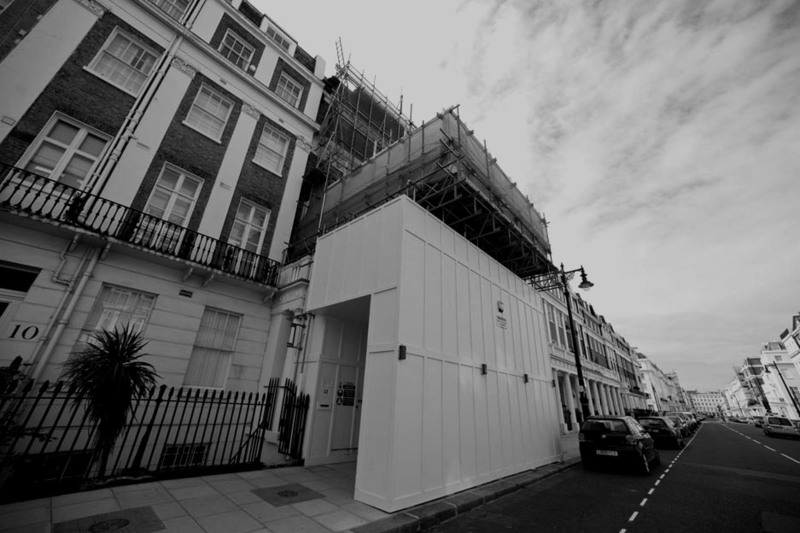 It is a standard feature of party wall insurance that any damage caused to neighbouring structures which could be considered to be inevitable is not covered. It is therefore critically important that any inevitable damage is anticipated and included in the contract cost rather than a presumption being made that insurers would consider payment on the policy.